WINGS is a leader in the Russian market of technological platforms for providing mobile services. The company is a developer of innovative software for mobile network operators, content and service providers, advertising agents and banks. WINGS provides an integrated technical solution and professional services: delivery, implementation, maintenance and administering of its own solutions, development of new services, staff training and considerable experience in supporting carrier-class systems. What began in 1998 as the idea of three Trinity University classmates has now become a global company with more than 200,000 customers in 120 countries and $1.5 billion in annual revenue. The company headquarters remain in San Antonio, with over 5,700 Rackers on four continents who spend their days innovating, creating, and supporting the foundation of the business—you. 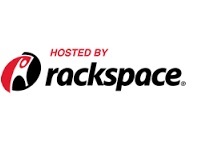 The company now hosts more than 60% of the Fortune 100 and 62% of advertising companies have their apps and websites run on Rackspace managed cloud infrastructure.